Thank you to all who follow us on Instagram, now well over 10,000! (If you don’t yet, check us out here). As a way to thank everyone, some of the best kosher restaurants are graciously participating to give away gift certificates for you to win. All you need to do is find our #YTK10k posts and follow the instructions there. “Cevichito” (Corvina, Red Onions, Lime Juice, Cilantro, Aji Limo) from the amazing @26sushi_tapas in #Miami … WIN A $50 GIFT CERTIFICATE TO 26 Sushi & Tapas in Miami. Here's how: Help me celebrate hitting 10,000 Instagram followers by participating in this #YTK10k giveaway. To be entered to win, you must: 1) Follow @yeahthatskosher 2) Like this pic 3) Tag 3+ of your friends you'd take to this restaurant in the comments below That's it! We're going to choose a winner 2 weeks after the posting of this pic. I'll also be posting numerous other giveaways from some of the best #kosher restaurants out there, so stay tuned for more #YTK10k giveaways! Additionally, we'll be doing more giveaways just for our email subscribers. To subscribe, click the link in my bio. Beef & ginger dumplings w/black pepper, ginger, & lemongrass sauce appetizer at @Abigaels_Jeff_Nathan in midtown #NYC…. WIN A $50 GIFT CERTIFICATE TO Abigaels in Manhattan. Here's how: Help us celebrate hitting 10,000 Instagram followers by participating in this #YTK10k giveaway. To be entered to win, you must: 1) Follow @yeahthatskosher 2) Like this pic 3) Tag 3+ of your friends you'd take to this restaurant in the comments below That's it! We're going to choose a winner 2 weeks after the posting of this pic. We'll also be posting numerous other giveaways from some of the best #kosher restaurants out there, so stay tuned for more #YTK10k giveaways! Additionally, we'll be doing more giveaways just for our email subscribers. To subscribe, click the link in my bio. Fish Taco @ Mexikosher — Special for the #9Days • "Best fish taco in Los Angeles. 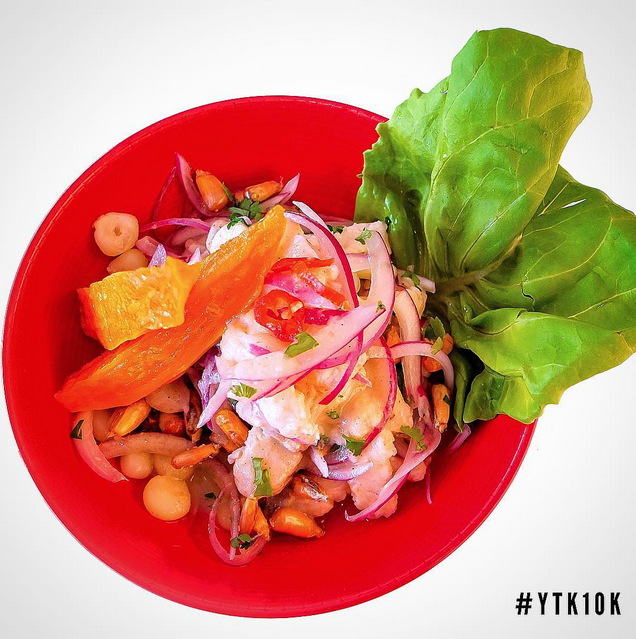 I'll put my taco against anyone #kosher or not” – @KatsujiTanabe (owner & chef) WIN a $20 Gift Certificate to #Mexikosher in #LA here: Help us celebrate hitting 10,000 Instagram followers by participating in this #YTK10k giveaway. To be entered to win, you must: 1) Follow @yeahthatskosher & @Katsujitanabe 2) Like this pic 3) Tag 3+ of your friends you'd take to this restaurant in the comments below That's it! We're going to choose a winner 2 weeks after the posting of this pic. We'll also be posting numerous other giveaways from some of the best #kosher restaurants out there, so stay tuned for more #YTK10k giveaways! Additionally, we'll be doing more giveaways just for our email subscribers. To subscribe, click the link in my bio.